George liked this stuff too. Ah, at last. The final instalment of the George Washington week, almost two months after I started the damn thing. After getting a little giddy and excited with regards to the concept of coming up with three different drinks to celebrate the event in American history that was George Washington – one on rum (that was a little cheated), one on rye and one on applejack – an awesome bout of wisdom tooth pain on opposite sides of my mouth that were separated by only a day dominated most of the month of March, coupled with moving house. Meaning that for the first time since this log started, there was a month without an entry. The idea behind this drink is linked to Applejack, yet another spirit that George had close to his heart. Applejack itself goes back to the late 1600s, when those hardent drinkers of the early days of American colonialism would ferment cider and then leave it outside in freezing whether conditions to concentrate the booze from the water. Enter William Laird, a Scotsman who brought with him the art of distilling after settling in Monmouth County. In 1698 he started producing an apple brandy instead of that horrid hard cider freeze separation stuff they called ‘jersey lightening’, and aged his stuff in oak casks. Applejack’s role in the liquid history of the USA is well documented too; William’s great-grandson Robert Laird served in the revolutionary army under George Washington, while the Laird distillery itself became the first in American history to be granted a commercial license in 1780. Add to the fact that George Washington himself was given a recipe for ‘cyder spirits’ before 1760, and the rest is pretty much history (no pun intended). 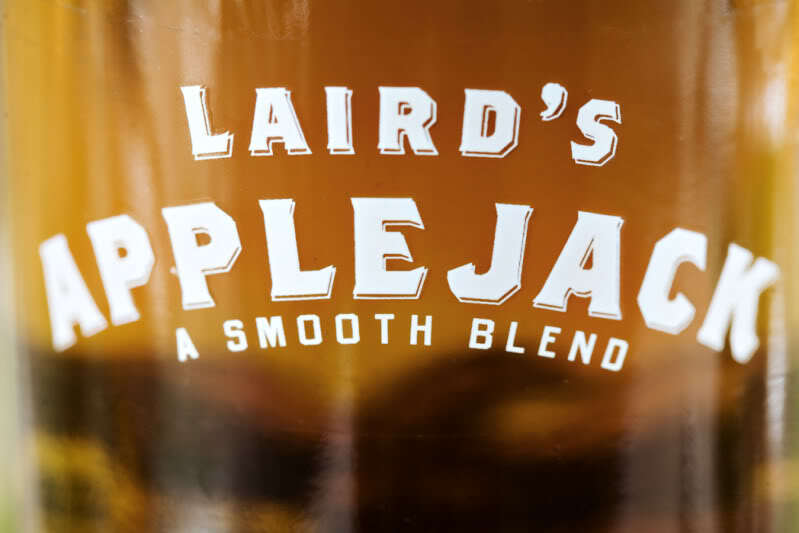 While the modern day applejack is a little further away from the stuff kicking about 300 years ago – today’s version is a blend of three to four year-old apple brandies (35%) and neutral grain spirit (65%) – Laird’s also produce a bottled-in-bond apple brandy, a seven-and-a-half-year apple randy, and an even rarer and expensive 12 year old brandy, the latter of which is considered to belong within the same realms of fine cognac or a single malt whisky. For mixing purposes, the bottled-in-bond stuff is definitely what you’re after. However, that’s enough about applejack. Here’s a drink. Add sugar, bitters and water to a rocks glass. Muddle sugar cube until dissolved. Add other ingredients, and add ice. Stir until all the flavours have married. Garnish with an orange twist and serve. The drink is a twist on the Old Fashioned, and its maker Micky McIlroy of New York’s Milk & Honey states that each of the three ingredients were common ingredients used in American cocktail making in the mid-1800s through to early the 1900s. And, even though I’ve never had the pleasure of being served the drink by McIlroy, fellow Bramble colleague and Elvis-lookalike Paul Graham has, and made me one the other night when I was pretty spangled. When both Rittenhouse Bonded and Laird’s Bonded are used, the drink is a hefty, spicey powerhouse of a drink. Definitely one to put hairs on your chest, the drink becomes a softer and more approachable when used with normal Applejack and Rittenhouse 80 proof. As for the bitters, Regan’s No. 6 are made for this drink. And I know which version I prefer. Before I sign this post off, find out here and here where my attention as been diverted to over the last two months and why there has been no post on here for a while. 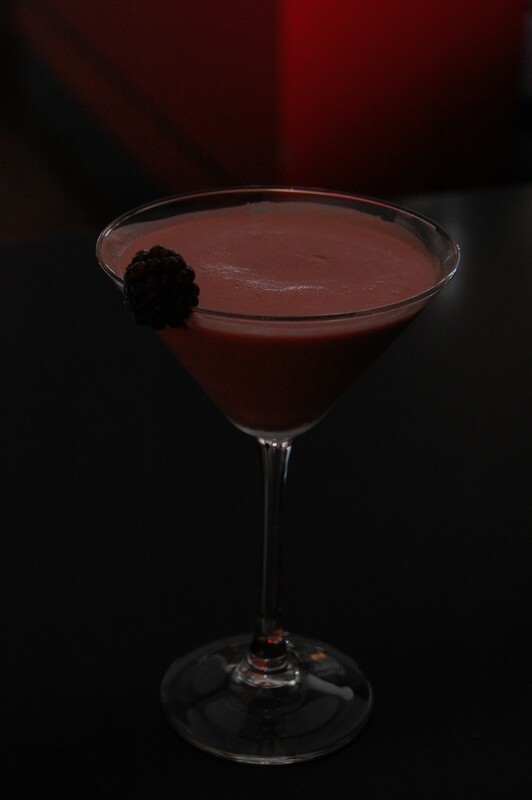 Something pretty exciting will be coming to the Bramble cocktail menu very soon. Finally, just a thanks to Paul Graham specifically for bring this drink to my attention. Cheers. 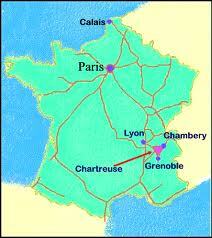 Cutting straight to the basics, Chartreuse is a French based liqueur made by a couple of monks in Voiron. The green stuff is 55%, massively herbaceous, natural in colour and has a reputed 130 natural herb and plant flavourings. The other stuff – yellow Chartreuse – is a little lighter and a little sweater at 40%. As well as the aforementioned, the monks also produce an extra-aged chartreuse – Vieillissement Exceptionnellement Prolongé, or V.E.P Chartreuse for short – and a herbal elixir, with the latter being used to soak a sugar cube before ingestion, helping to settle the stomach . Chartreuse has also made several appearances in popular culture – Tom Waits’ song ‘Till The Money Runs Out’ being a personal favourite. As a cocktail ingredient, the green and yellow varieties are popular components in both classic cocktails and more contemporary and modern day libations. 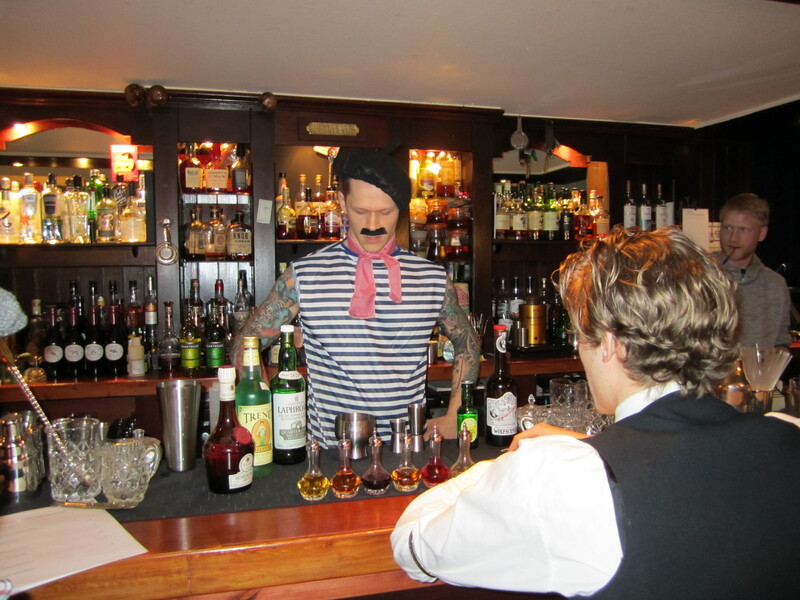 Jamie Mac, one of the bartenders at The Raconteur in Edinburgh’s well-to-do area of Stockbridge, and where the competition was held, presided over the final judgement along with the UK Chartreuse ambassador Matthew Dakers. The main judges, on the other hand, were also those who took part. The competition, which took a conscious nod towards ‘Come Dine With Me’, made sure that all those who competed were also responsible for judging their fellow competitors. The event threw up some interesting drinks, some of which included Iron Bru syrup, tonic reductions, tequila, homemade falernum and came in the form of blazers, fizzes, flips, and…er… general straight up drinks. With other heats in Leeds, London and Brighton, Sam Watson from the Bon Vivant and some northern-accented, French-clad dude – who also happened to relatively tattooed – will be representing Edinburgh at the finals in London in February. Some daft heavily tattooed French dude. Add all ingredients apart from the tonic water and absinthe to a cocktail shaker and dry shake. Add ice, shake hard and double strain into an absinthe rinsed glass. Top up with tonic water and serve. Herbacious, smokey, sour, dry, with hints of sweet earth and bitterness. Taking a nod towards the Gin Fizz, and a bigger nod towards the Morning Glory Fizz, both of which fall into that anti-fogmatizer/gloomlifter/hangover cure category, the drink is surprisingly light and refreshing. Saying that, despite wanting to stay away from scotch and gin to create something a little more original, I gave in and added a little of Laphroaig Quarter Cask to give another edge to the drink. Complex and long, just like Sam Watson himself. Cognac and Chartreuse glide over the pallet with ease, with orange in the foreground and the lime adding a slightly less acidic mouth feel then first anticipated. To quote maker Saw Watson, the drink is dedicated to all the French girls he’ll probably never hook up with. Voila. For those of us crazy enough to stay within the bartending industry, there are only so many options available once we feel complete with the knowledge we have gained over time through education and the general tending of the bar. Head bartender positions, as well as managing and ‘bar consultancy’ work (the latter itself encompassing a myriad of subjects, from architecture to drinks menu designer) is some of the most obvious. Brand ambassador jobs are something to consider too, a side of the drinks industry that reminds of my university days studying journalism when we would here stories about journalists heading over to the dark side of PR due the larger amounts of money available. However, for those of us who still fancy a steady income, coupled with responsibility that comes with being your own boss, then opening your own bar seems to be the way to go. Most bartenders I have spoken to since entering the industry two years ago seem to hold that opening their own bar would be the ultimate dream, and that control over everything from the backbar to the drinks menu would be something that would hold their interest, not to mention finances, for the long term. The biggest concern when it comes to opening a bar, from a bartenders point of view at least, would be what kind of bar to open in the first place. It’s all fair and well having a swanky place with lots of nice spirits and a detailed cocktail menu. But drinking establishments and bars exist to make money, and to try and reach the pinnacle of a profession in correspondence with your own business may not bring the dollars in. So how does a bartender maintain integrity within his own venue while supplying the customers with what they want while paying the rent? The subject, ultimately, brings the topic to the point of satisfying everyone’s needs, especially the bartender in question decides to open a venue that keeps in line with a good spirit selection coupled with a nice interior and a decent menu of cocktails. For the bartender, it’s usually making a balanced and complex drink with integrity and creativity. For the patron, it’s about receiving a drink that satisfies their taste buds and fills their status quo. And as for the proprietor, it’s about making money and paying the rent without extracting too much in the first place. In short, it’s about creating a few drinks for a menu that are quick to churn out and bring in the bucks, leaving space for other drinks on the menu for the bartender to get serious about and for the venue to pride themselves on. 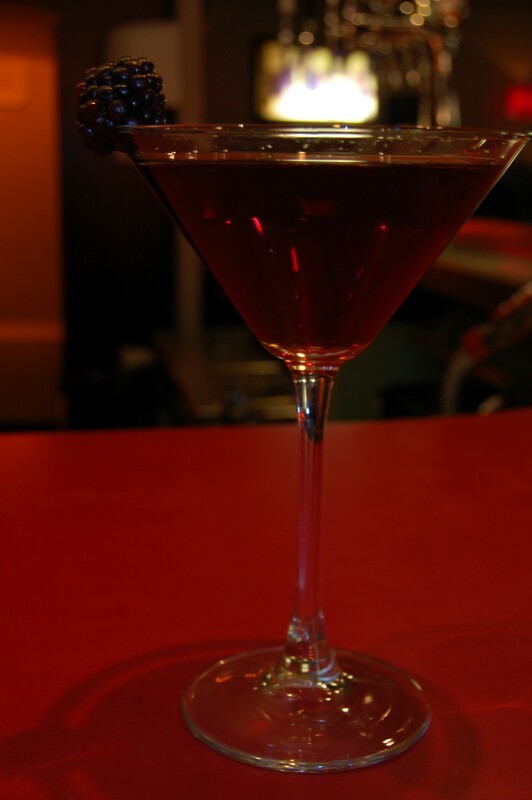 Rory Lim, a friend of mine who currently works in Melbourne, brought his recipe for a ‘Black Forest Martini’ to the table several weeks ago after we compared recipes. We also talked about quick and easy drinks to make that satisfied the customer’s demands (not in all cases, but that fall into the ‘fruity and sweet’ category), but that still gave a good turnover of profit that would become one of the ‘money makes’ on the menu. Add all ingredients to a mixing glass. Shake and double strain into a cocktail glass. Garnish with a blackberry. Add all ingredients to a mixing glass. Add ice, and stir with bar spoon. Strain into a chilled cocktail glass and garnish with a blackberry. No prizes for guessing which one of the two is quicker and easier to execute, is easier on the eye, and gives a great degree of complexity and warmth, especially as the British winter months ensue. Rory’s original recipe eased back a little on the Cognac and had no bitters; the Cognac/Brandy measurement is increased a little so the base spirit can come through (especially when using something as dense as Chambord or something similar in conjunction with Crème de Cacao), while the Peychauds adds a touch more complexity and carries the drink into official cocktail category. Finally, this post is dedicated to Rory Lim, who brought this subject to my attention in the first place, and for his top-20 place in the recent bar awards in Sydney in Australia. Another well done goes to close friend of mine Kal ‘Big Nuts’ Moore, who managed to reach the top ten. Read about the Australian Bar Awards here and here.